We all know that hungry children cannot learn effectively. The majority of Good Hope Seminary Junior School learners live a great distance from the city of Cape Town, in areas as far afield as Khayelitsha, Philippi or Delft. Here children must wake at perhaps 4.30 am to leave by ‘taxi’ for the city by 5.30am. This is often too early for them to eat, even if there is sufficient food for them at home. The hour long journey into the city is stressful. Even if they do eat before leaving home, the children are hungry by 8am when they are expected to start learning. The Breakfast Club was born to address the concern that sleepy, passive children gave their educators. 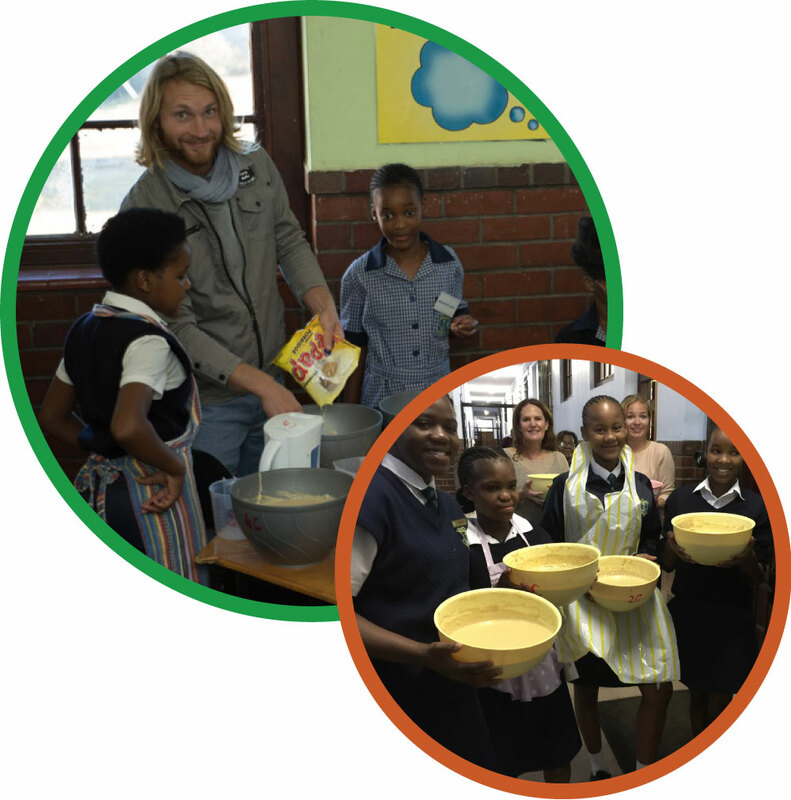 In February 2016, with the full support of the principal, Adrienne Millner, Aletta Ashmore (Learning Support Educator) and Patsy Bagraim (Shine volunteer) started a pilot scheme to feed 75 Grade 1’s’. 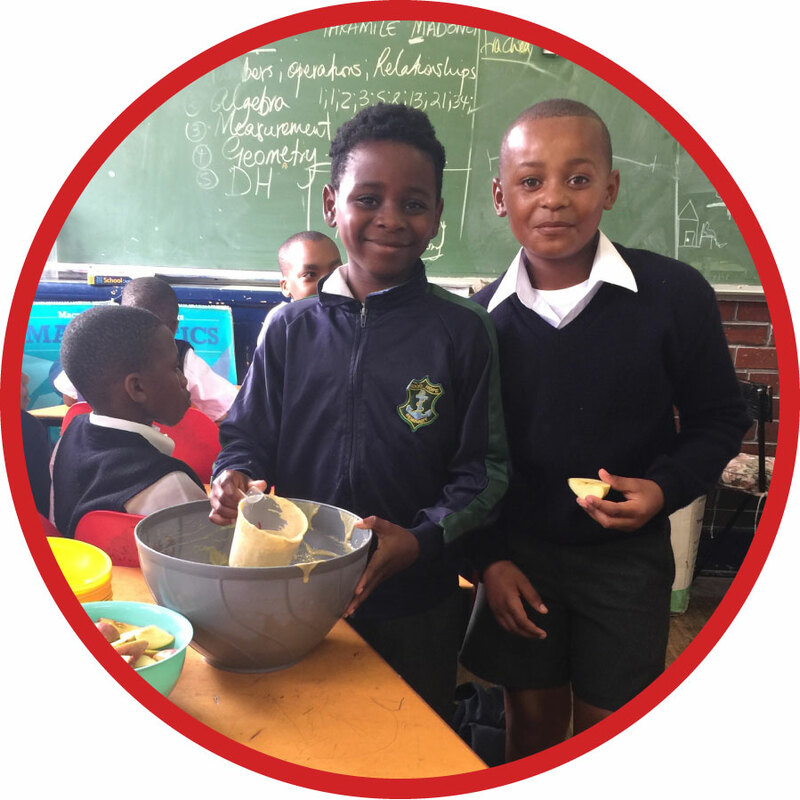 The Breakfast Club at Good Hope Seminary Junior School today feeds a healthy E’pap, milk and fruit breakfast to over 400 Grade R – Grade 7 learners each school morning. 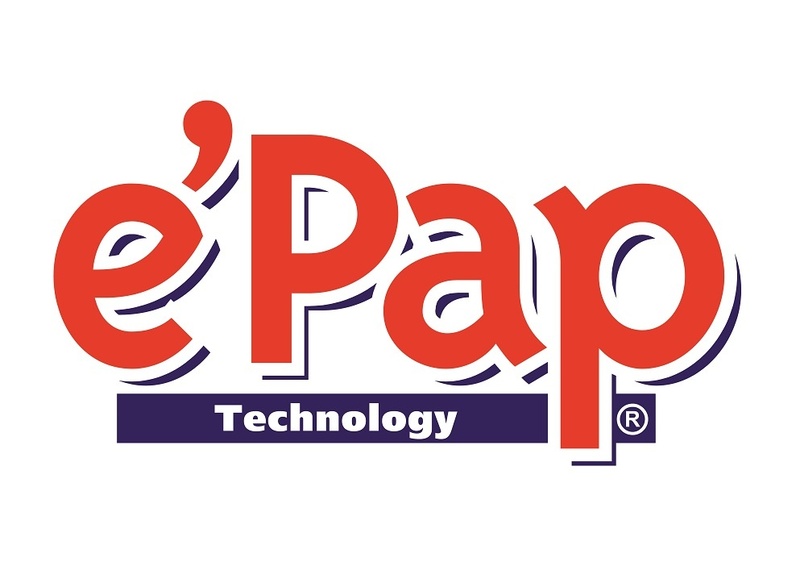 E’Pap, developed by Dr Basil Kransdorff, is a maize and soya based meal with supplementary vitamins and 23 other essential minerals. It was initially designed to boost the immune systems of HIV and TB patients. At the end of 2016, we found that 75% of the Grade 1 English and Maths results WERE BETTER than the English and Maths results of the 2015 and 2014 Grade 1’s. The 2016 Grade 1’s had eaten E’pap breakfasts all year, whereas the previous years’ Grade 1’s had not. It is a possibility, therefore, that eating a nutricious breakfast each morning could improve school results! In March 2017, when we were trying to decide whether to run the breakfast scheme out across the whole school, we knew it would cost a lot more money. So we ran a survey across Grades 5, 6 and 7, to get an more accurate idea of when learners were having to get up in the mornings, whether they ate or drank before leaving home, when they would have to leave by transport, how long their journeys took, and whether they were hungry by 8am when they are expected to start learning in class. As expected, a strong correlation showed itself between all these factors. 62.3% of our learners said they ARE HUNGRY BY 8am. Would you like to ensure the ongoing work of the Breakfast Club? © 2019 GOOD START. All Rights Reserved.